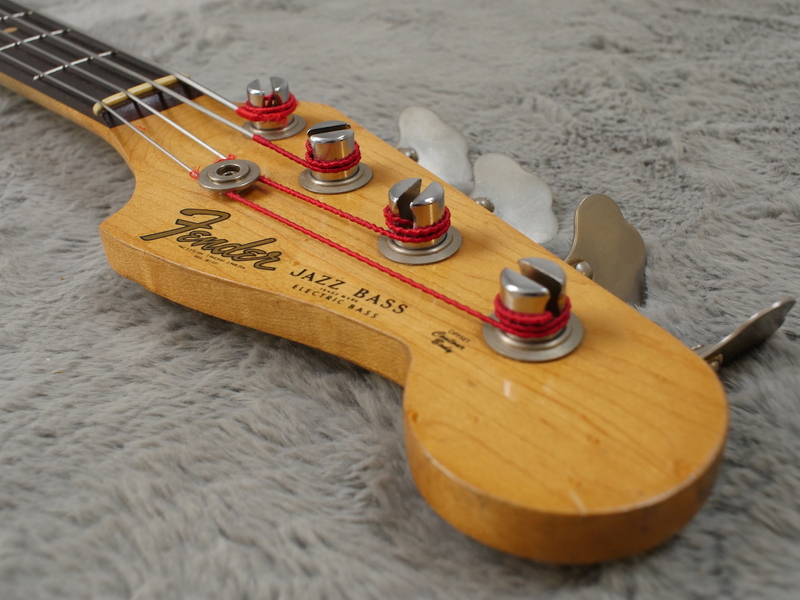 An iconic feature of stages all over the world, the Fender Jazz Bass represents Leo’s striving for more of an upright bass sound. 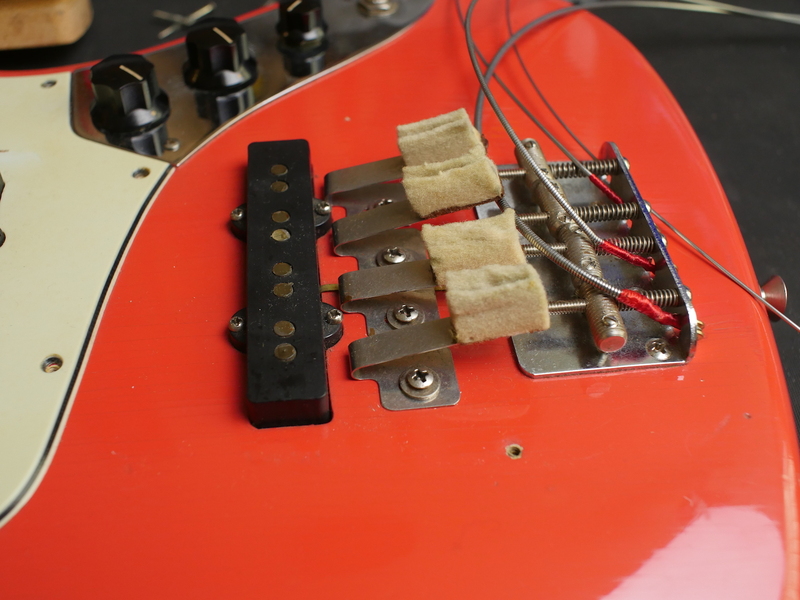 The single coil pickups and string mutes were an attempt to get an rounder sound with a little more control over the sustain of the notes. 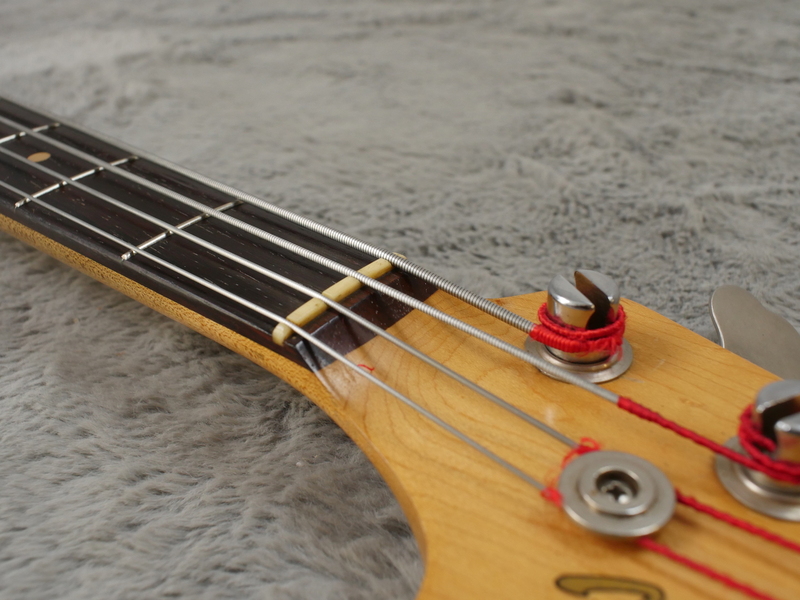 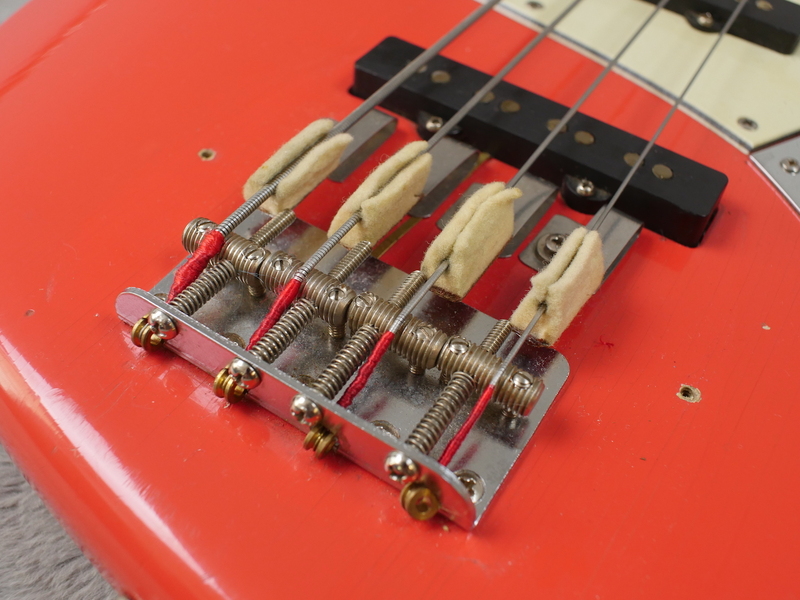 One of the many noteworthy features of this bass is how well preserved the felt mutes are as many have not survived, either perishing or being removed all together as musical tastes and styles change. 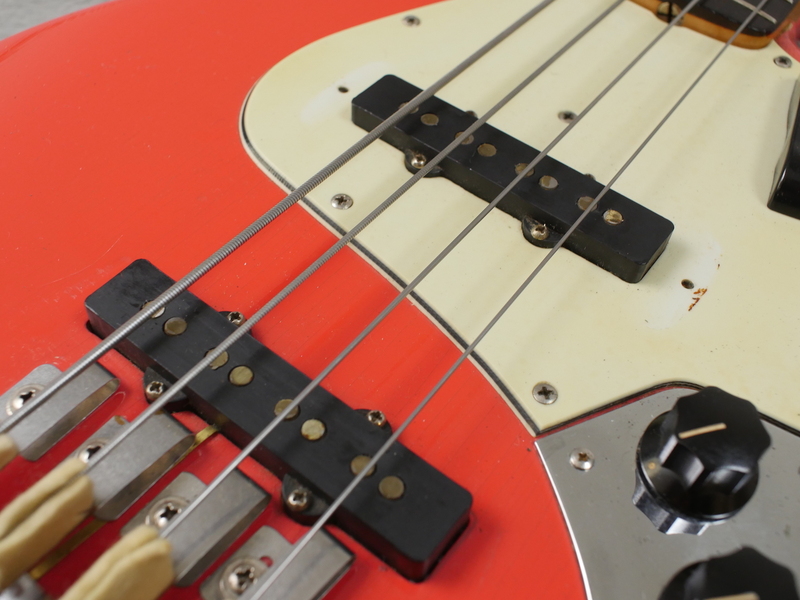 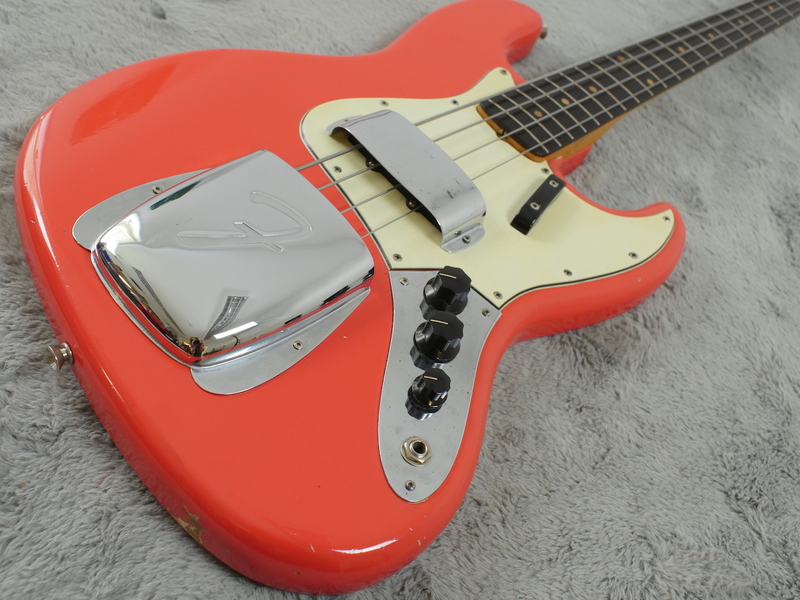 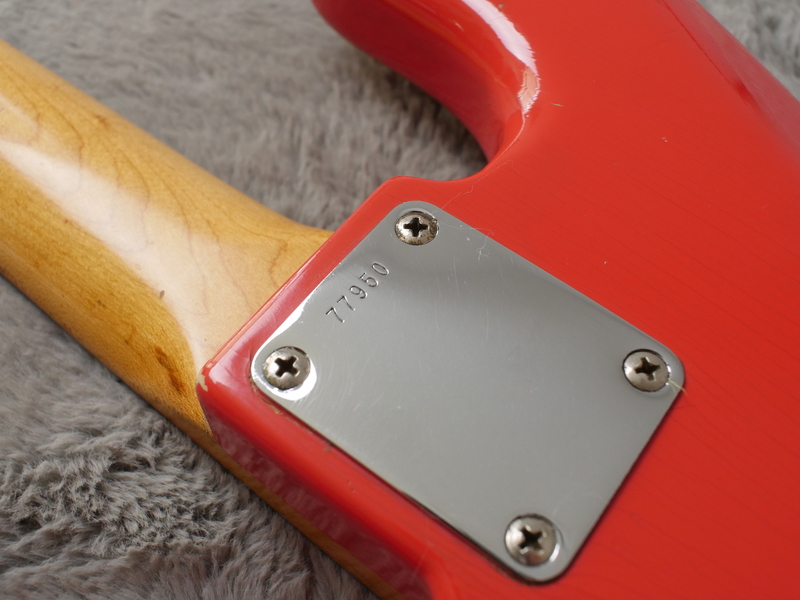 The finish on this bass is incredibly vivid, bearing a few scars but still retaining that factory glow and striking look. 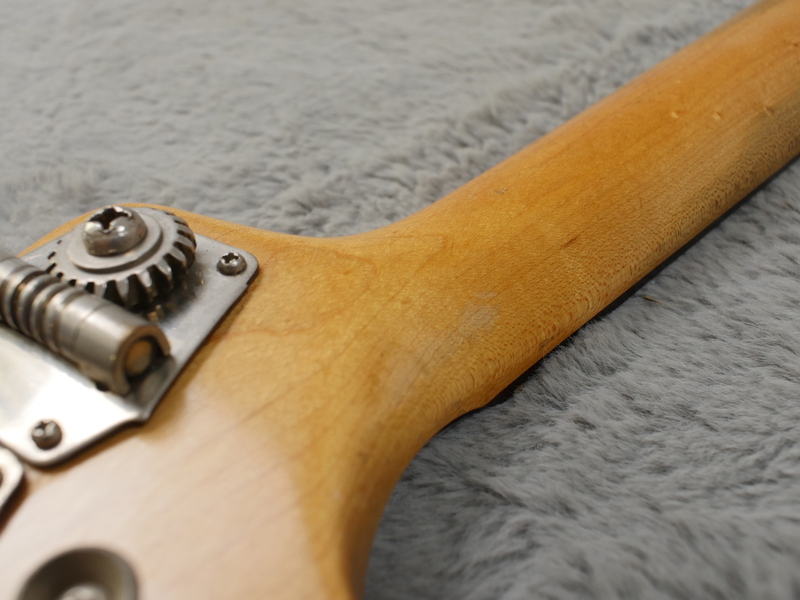 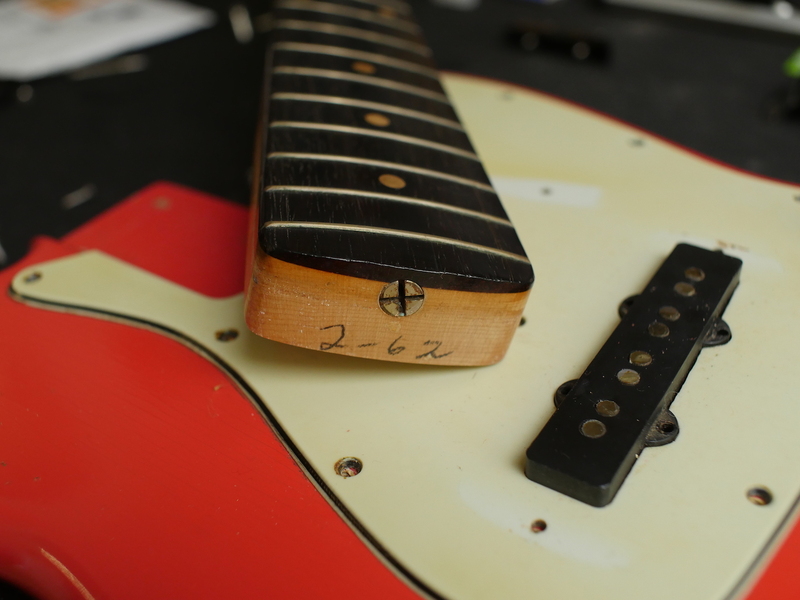 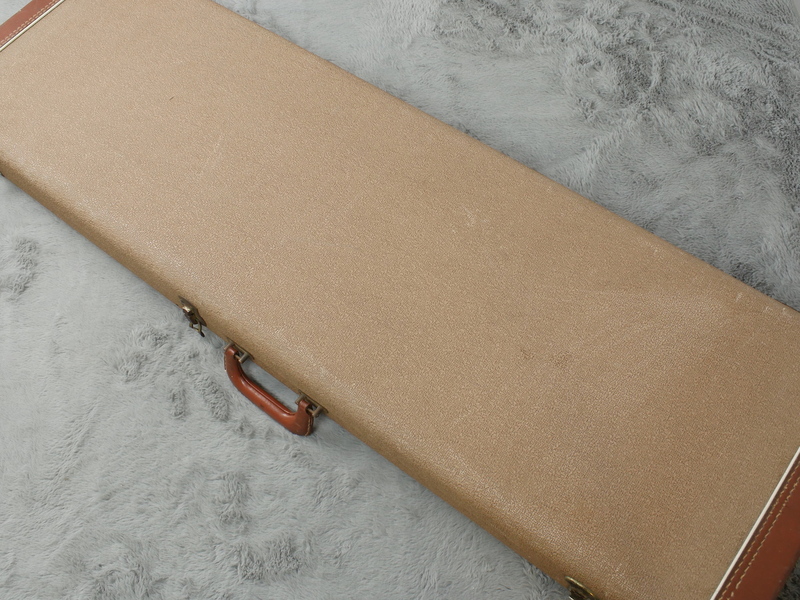 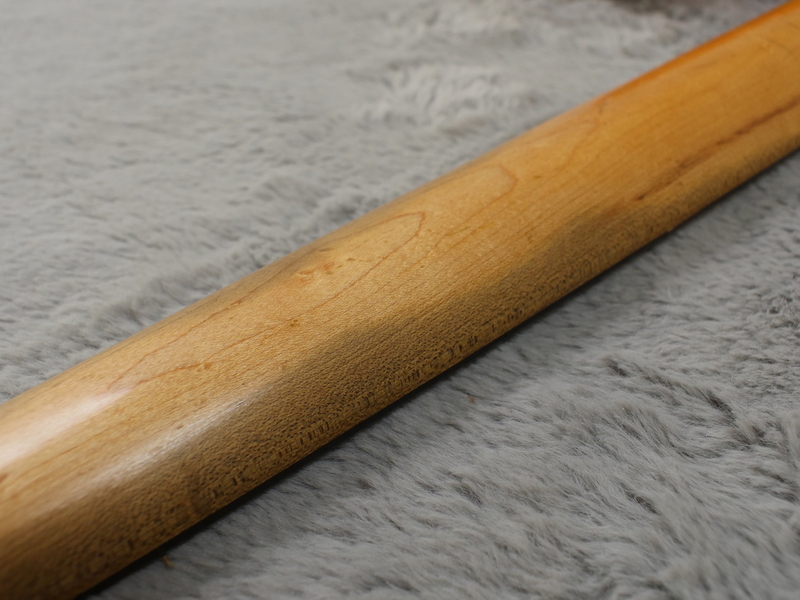 The neck too is fantastic, being from the beginning of 1962 and as such, featuring a slab-board fingerboard before these were changed to veneer boards in August of the same year. 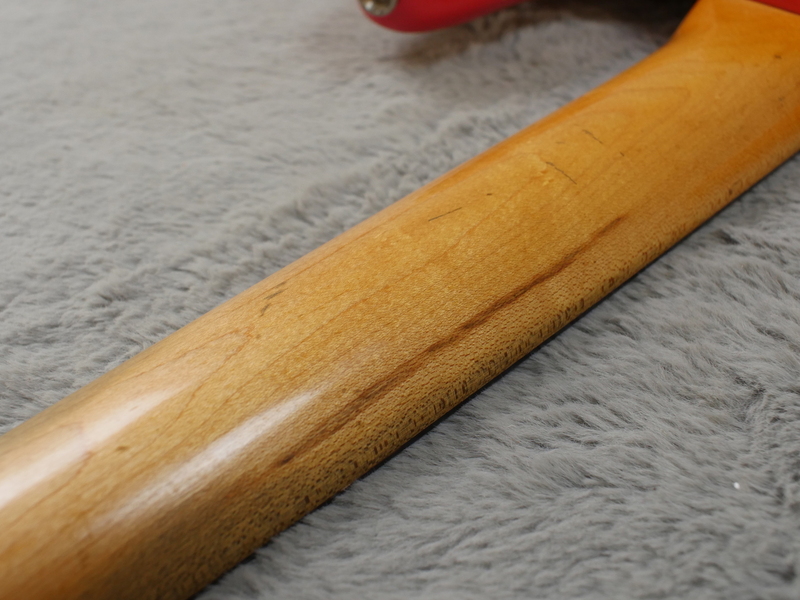 The finish has worn into the wood wonderfully and the fingerboard itself is in great shape. 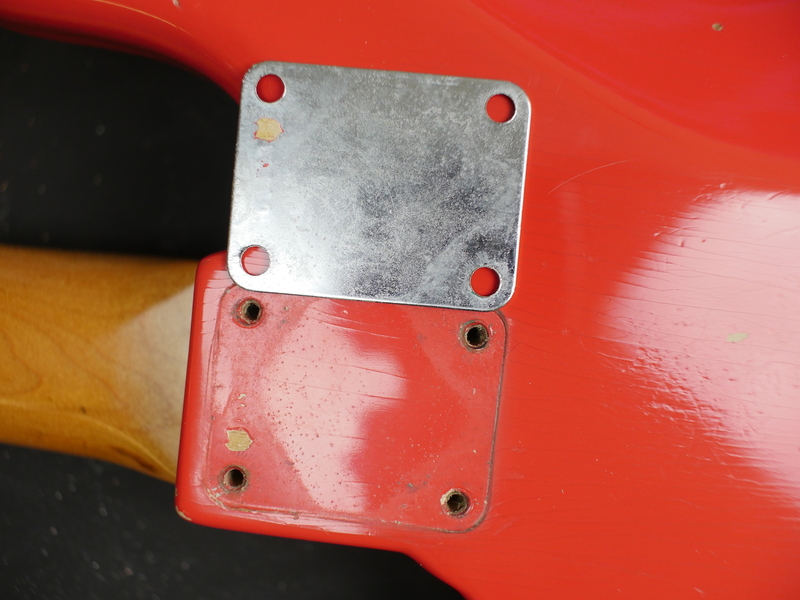 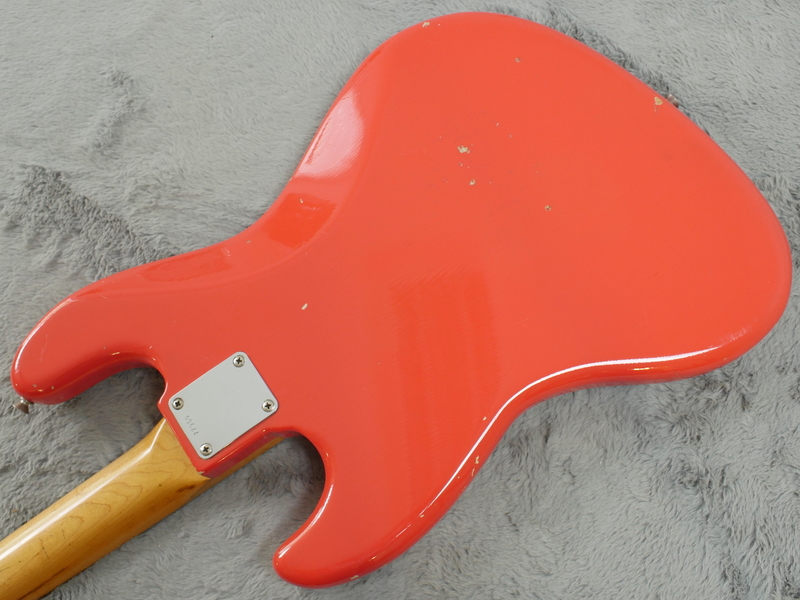 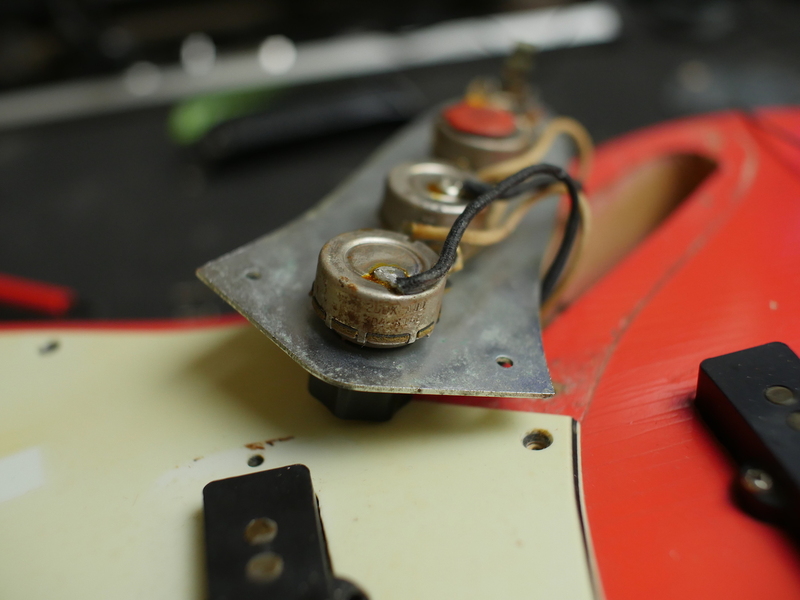 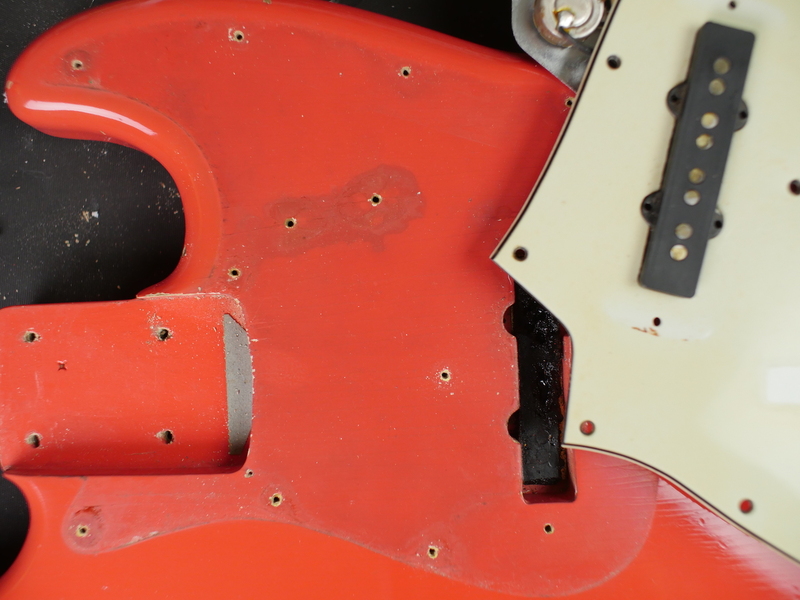 The celluloid pickguard too has escaped the ravages of time, with very little shrinkage and minimal discolouration. 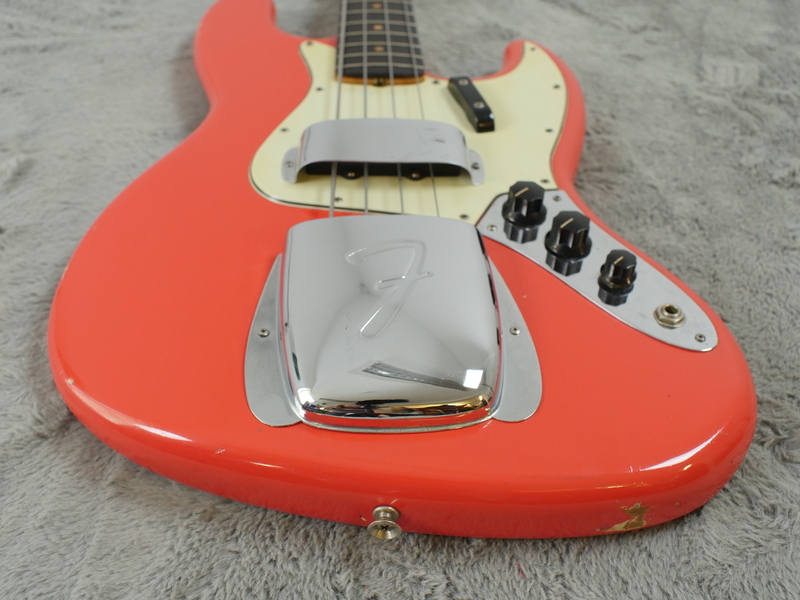 The pair of covers over the bridge and neck pickup still shine fearlessly adding to the visual appeal of this first-rate bass. 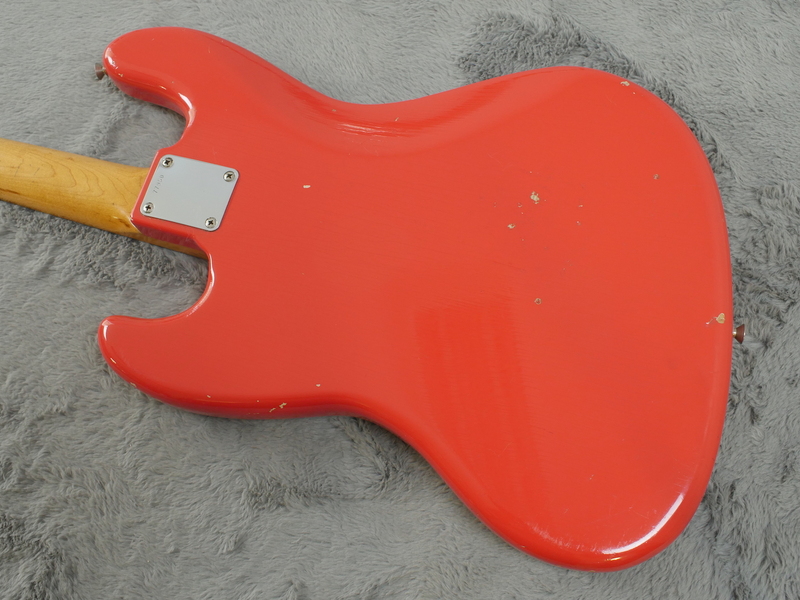 This amazing bass was also featured in a UK guitar magazine article in Guitarist Magazine 2003, a picture of article will be supplied with the sale which includes details of the original owner etc. 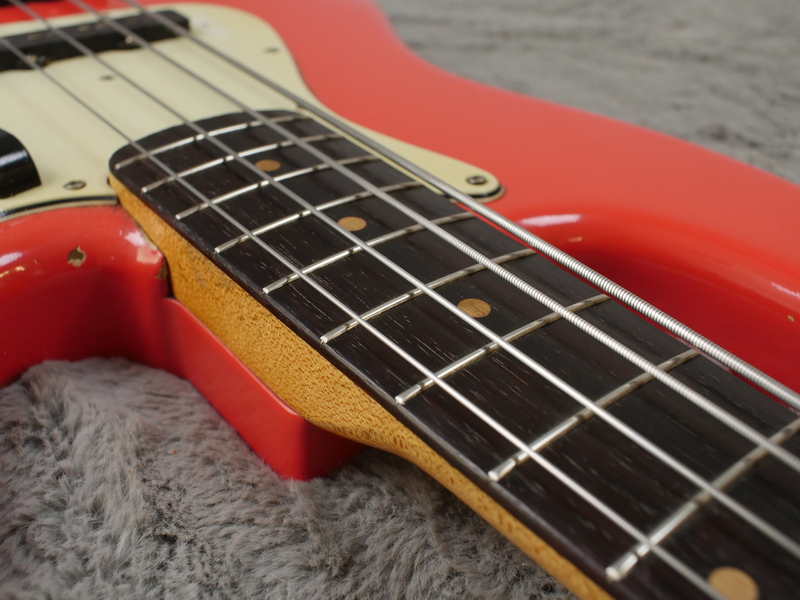 Tonally this bass really delivers. 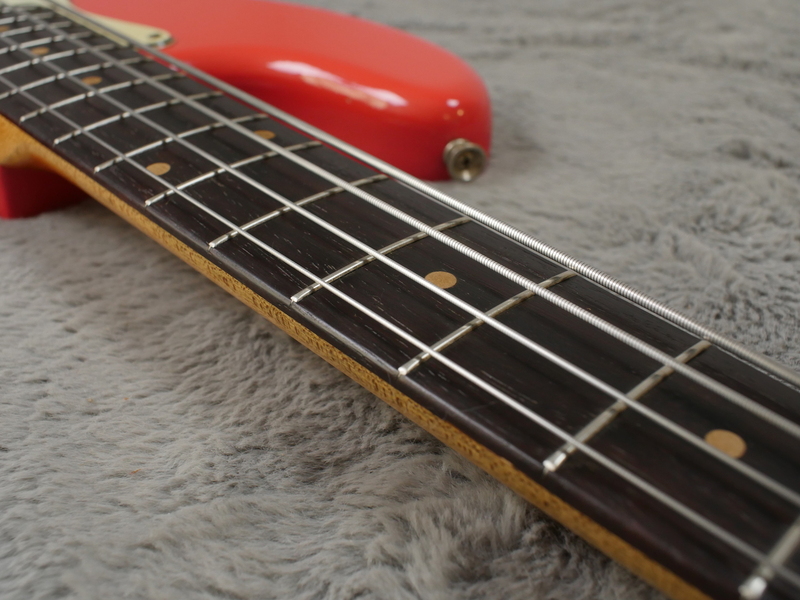 Its currently fitted with flat wound strings so your options range from smooth jazzy tone though to John Paul Jones and in all honesty anywhere in-between. 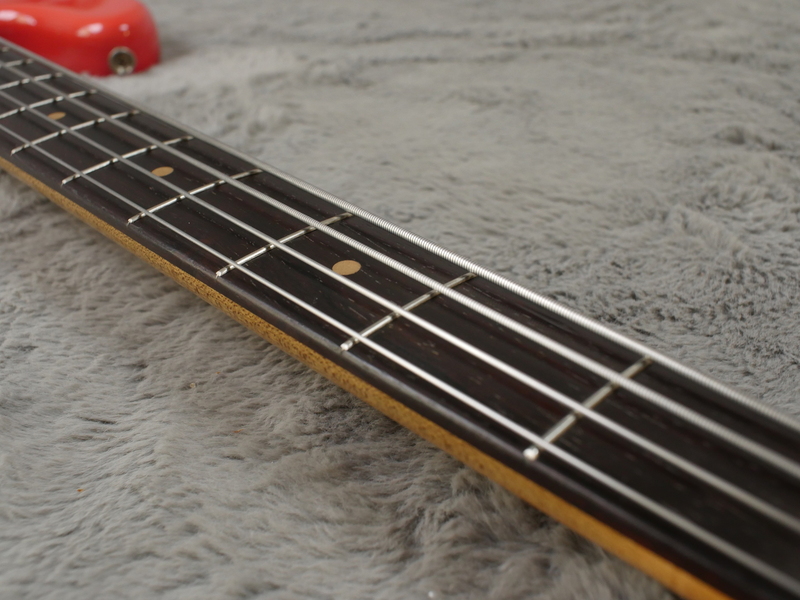 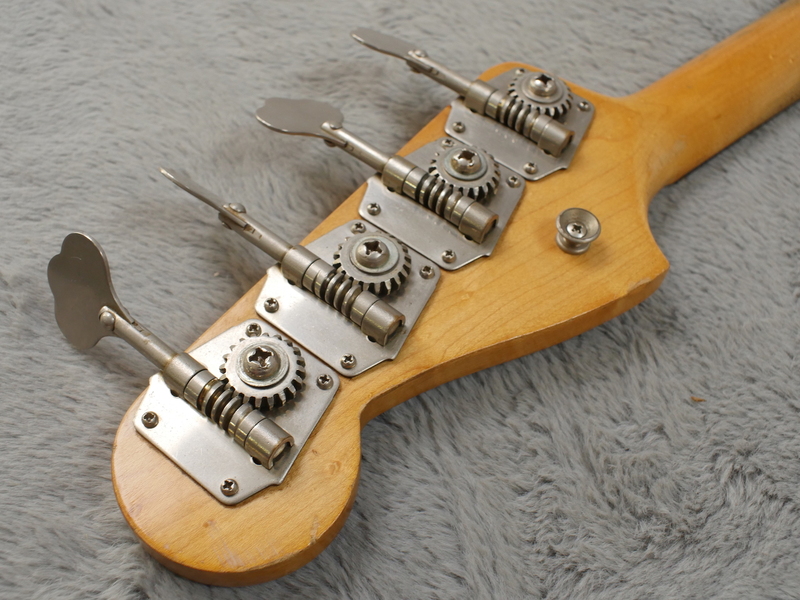 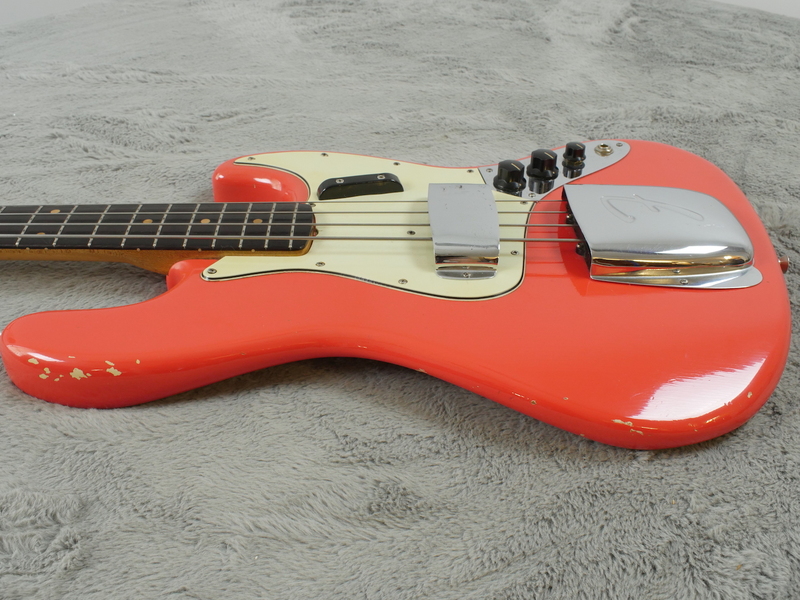 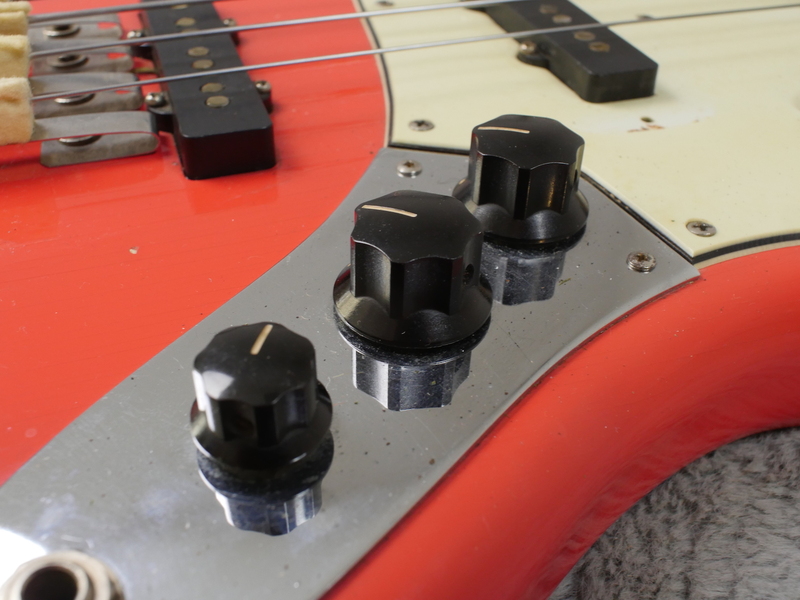 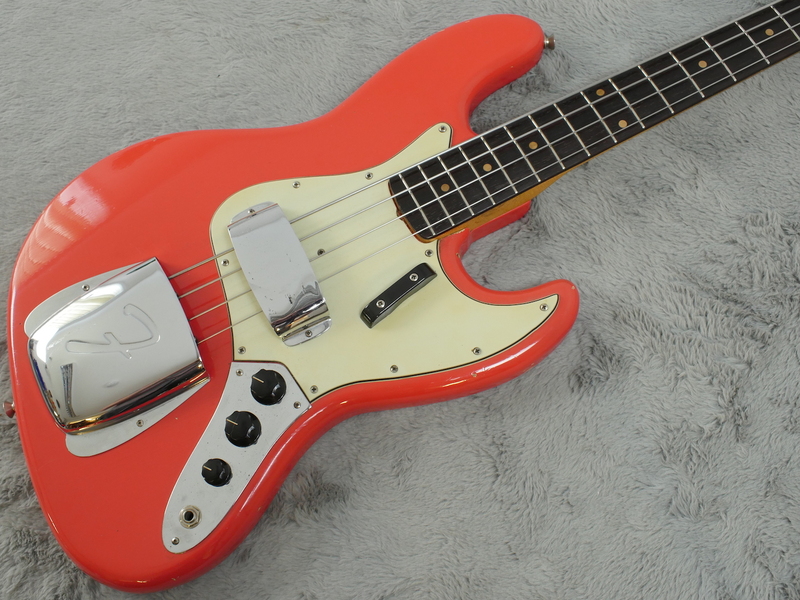 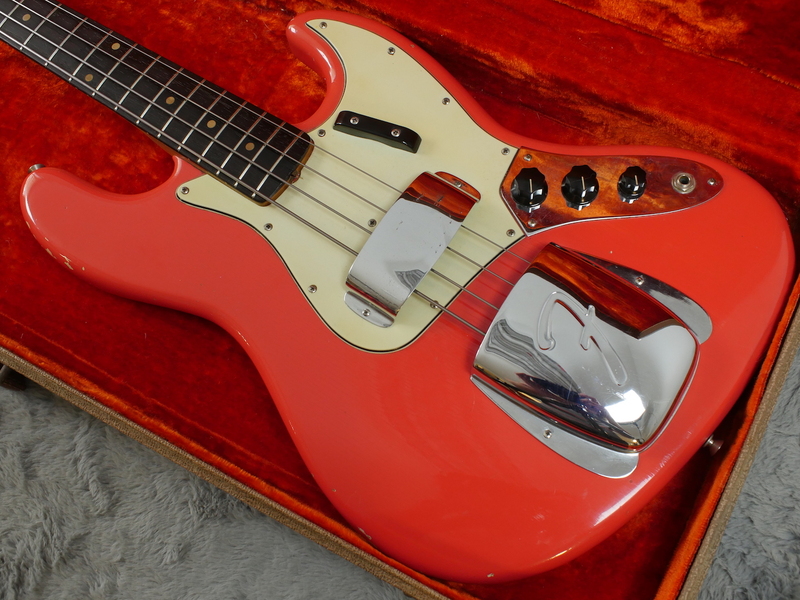 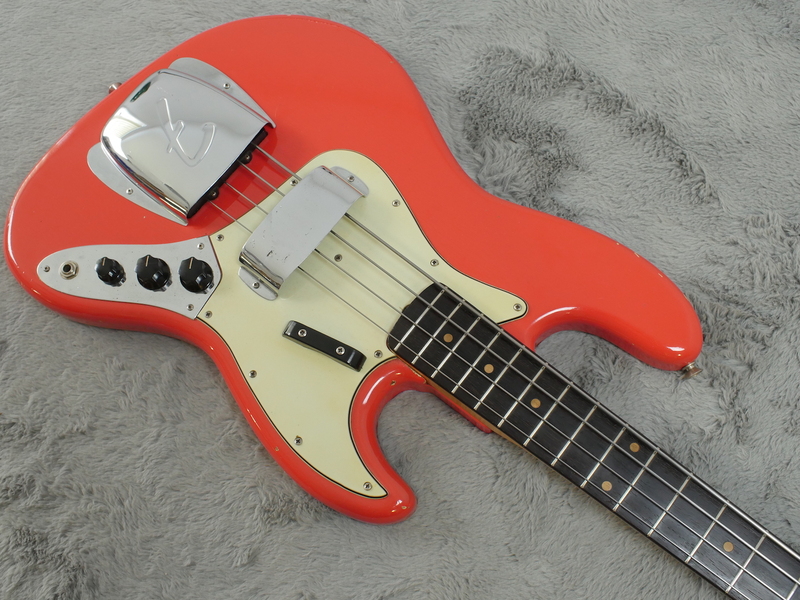 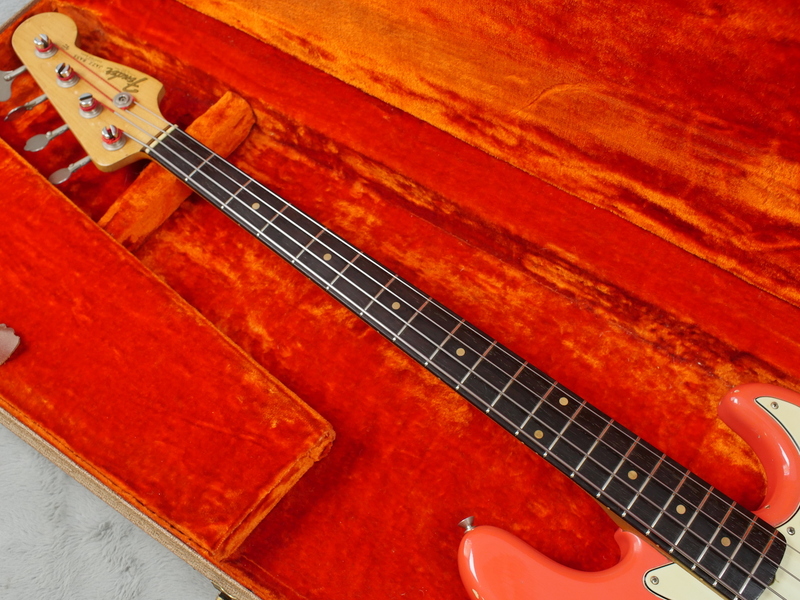 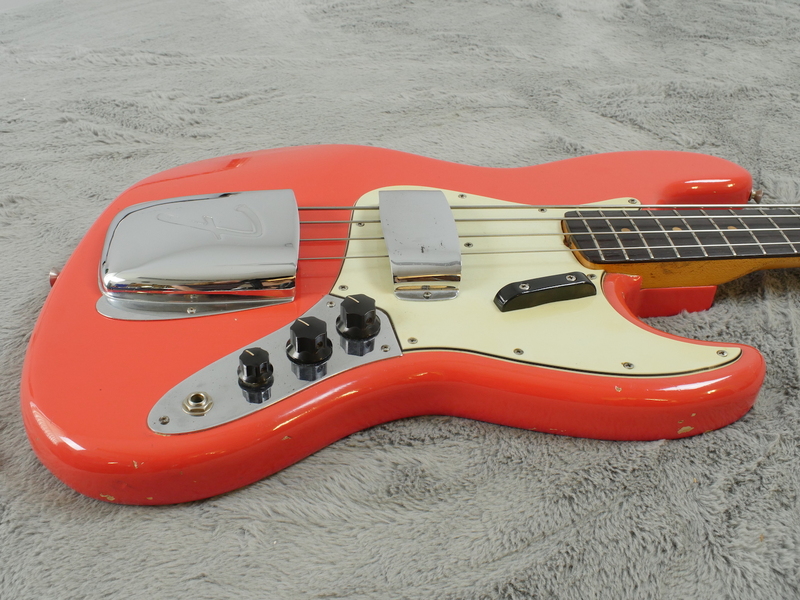 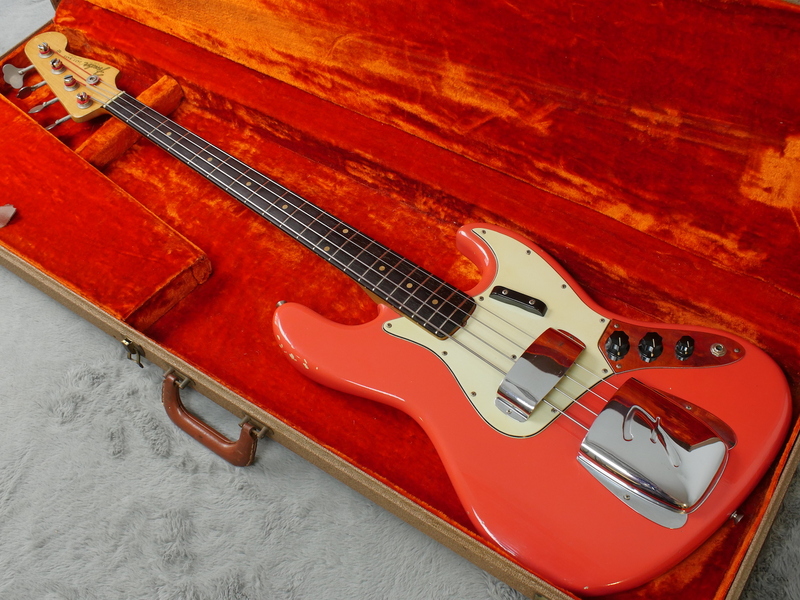 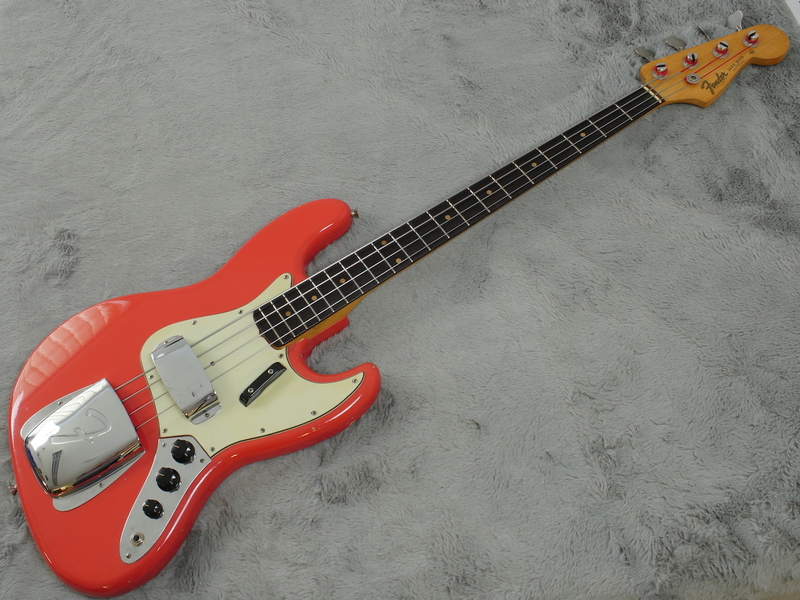 The three knob layout introduced the a few months before this bass left the factory yield all manner of tonal combinations. 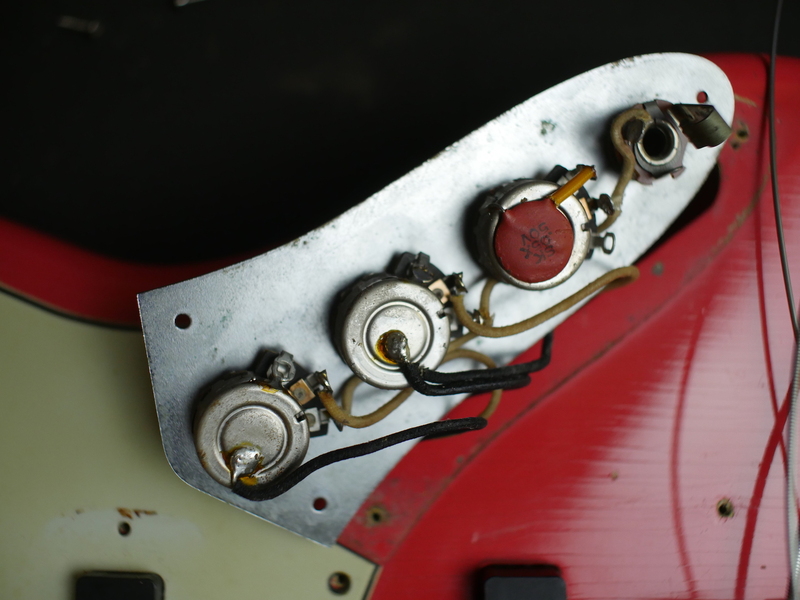 They are revered for a reason! 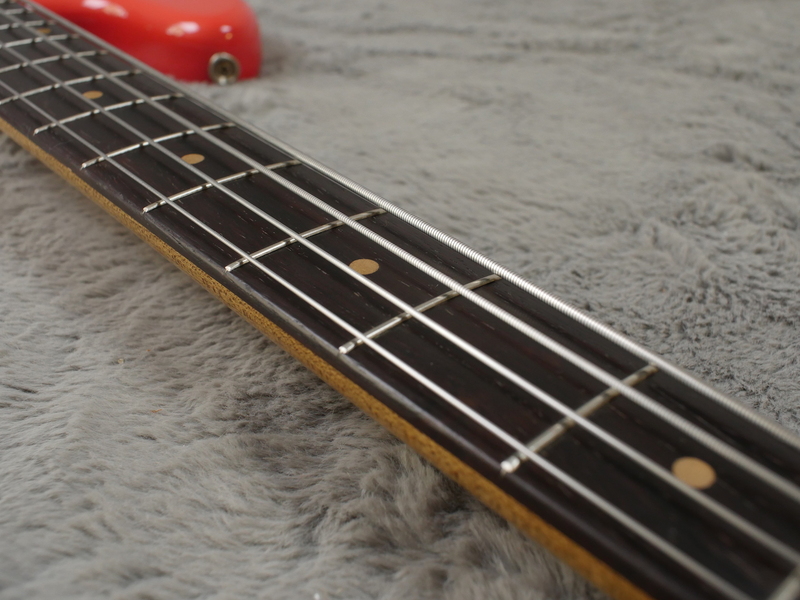 This bass will probably not be with us for long. 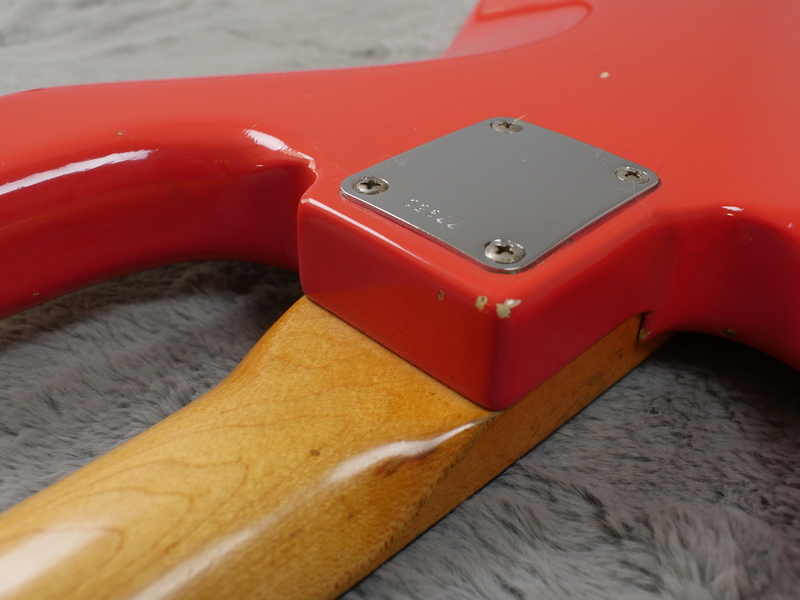 Stunning looks and tone to match, its a winning package!